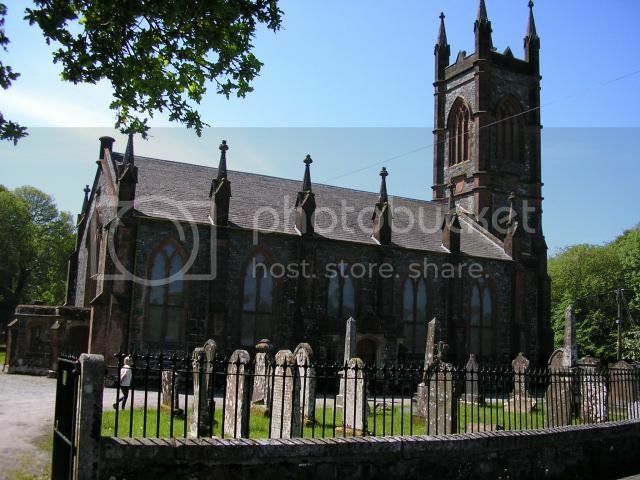 The Parish Church is at the north end of the village of Minnigaff, Kirkcudbrightshire, on a spit of land between the Penkiln Burn and the River Cree. 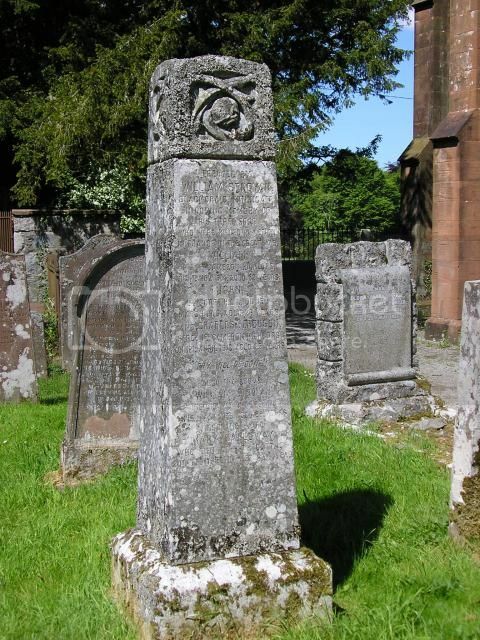 On the opposite bank of the Cree is the town of Newton Stewart, Wigtownshire. 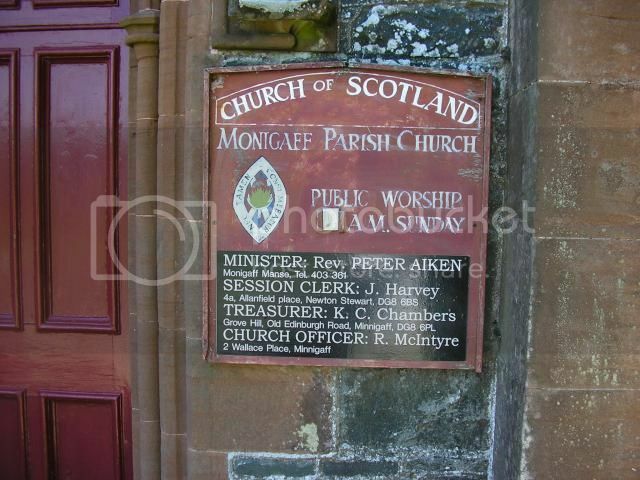 The church uses the former name of Monigaff. 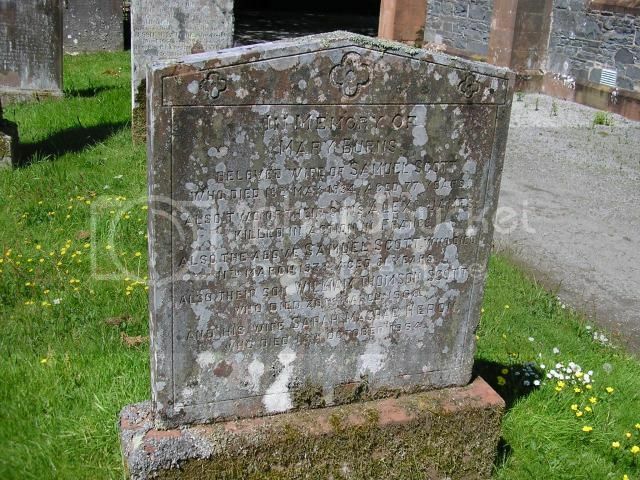 Many of the stones are badly "weathered" and illegible but the Dumfries and Galloway Family History Society has published a book of the inscriptions. These are the ones I was able to find. 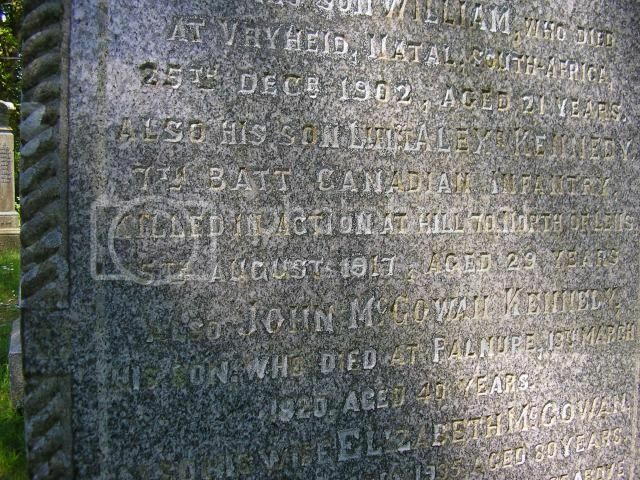 There is one CWG - a family stone. 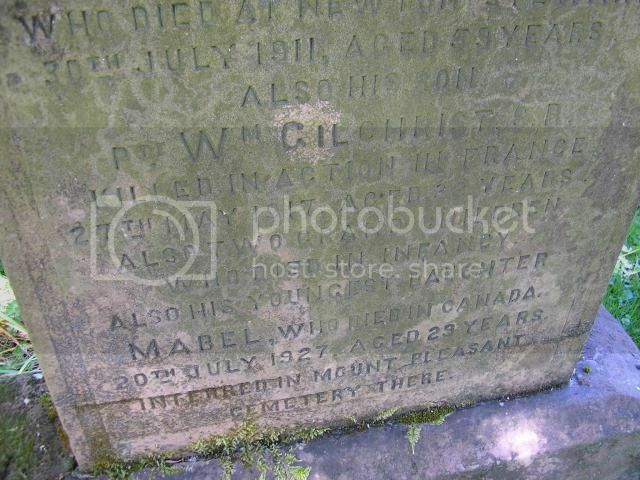 Grave ReferenceIn Old ground, close to Church. 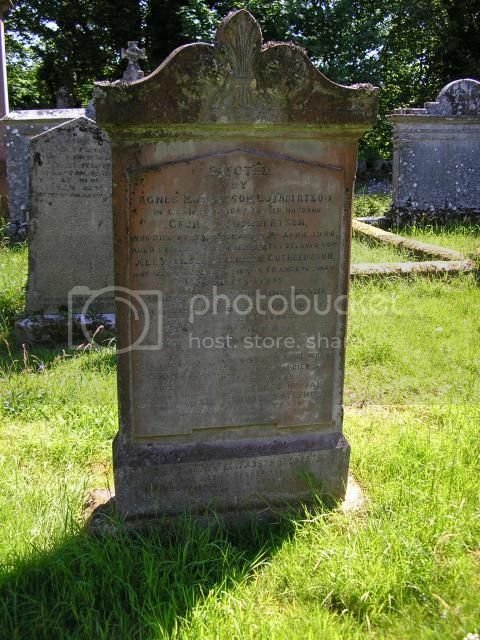 Son of the late Mrs. Janet Allison. 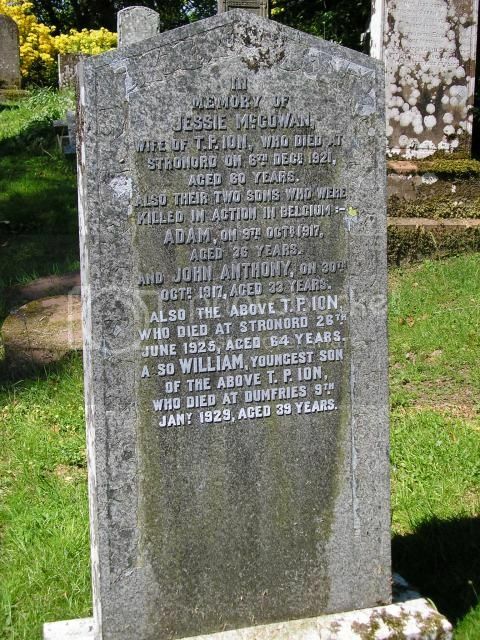 Andrew was born in 1890 in Cuil Cot House, Kirkmabreck, Kirkcudbrightshire. 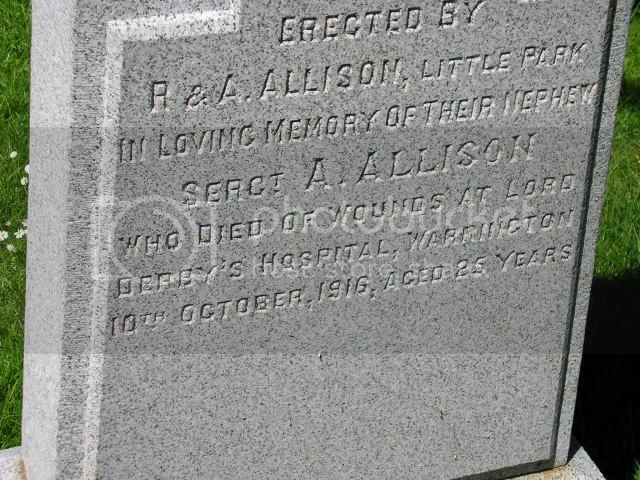 He was the nephew of Robert and Andrew Allison of Little Park Farm, Palnure, Minnigaff and was a ploughman on his uncles' farm when he enlisted in May 1915. Panel ReferencePanel 3 and 4. 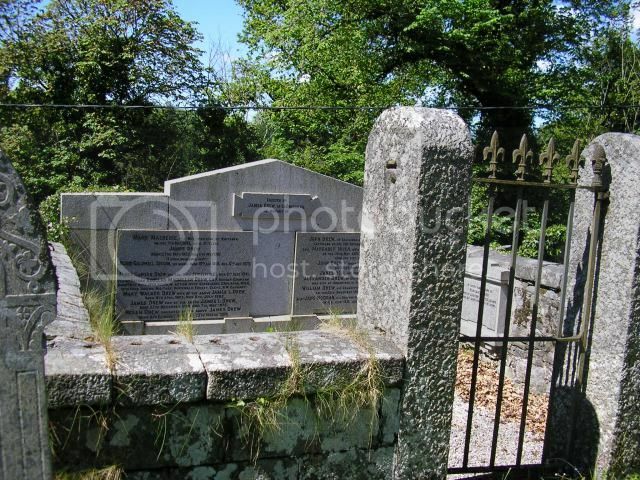 Grave ReferenceJoint grave 7. 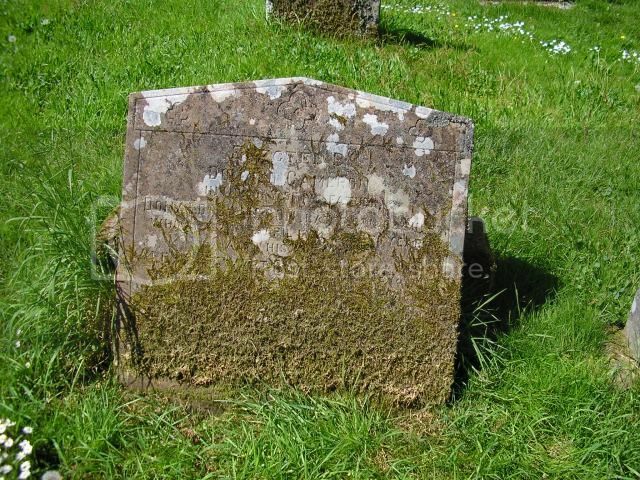 D. 1-2. 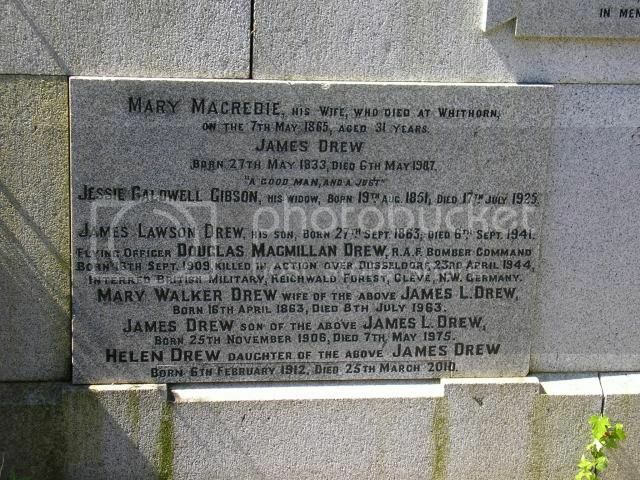 Son of James Lawson Drew and Mary Walker Drew, of Newton Stewart, Wigtownshire. B.A. 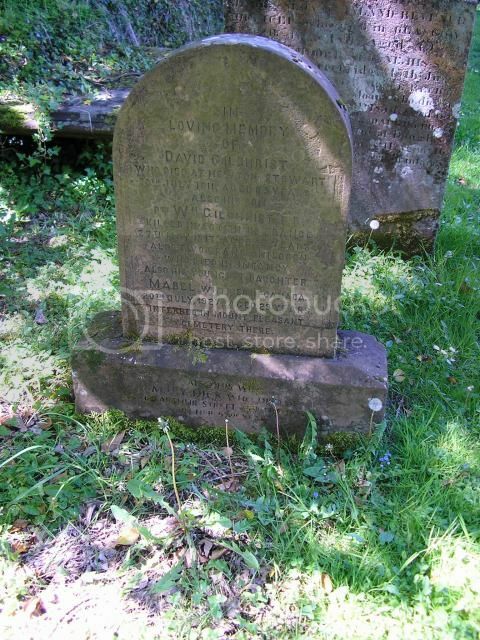 (Oxon.). 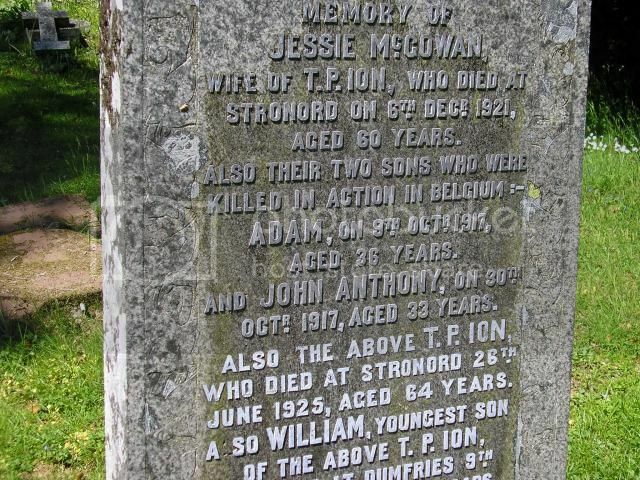 Son of Thomas Parr Ion and Jessie McGowan Ion, of Stronord, Palnure, Newton Stewart; husband of Agnes Ion, of The Police Station, Cairnryan, Stranraer, Wigtownshire. 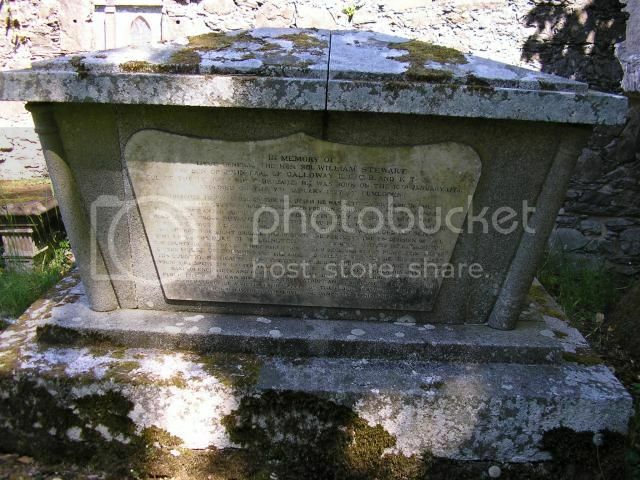 Son of Thomas and Jessie Ion, of Palnure, Kirkcudbrightshire, Scotland; husband of Mary Ion, of Nakusp, Arrow Lakes, British Columbia. 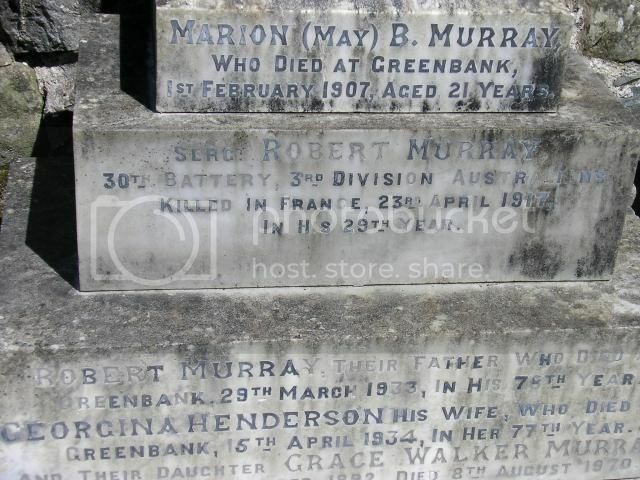 Son of Robert and Georgina Murray, of Green Bank, Minnigaff, Newton Stewart, Scotland. 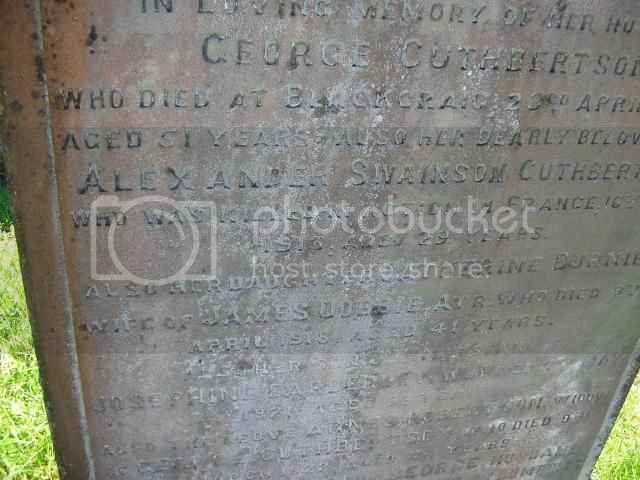 Also two of their sons Alexander and James killed in action in France. 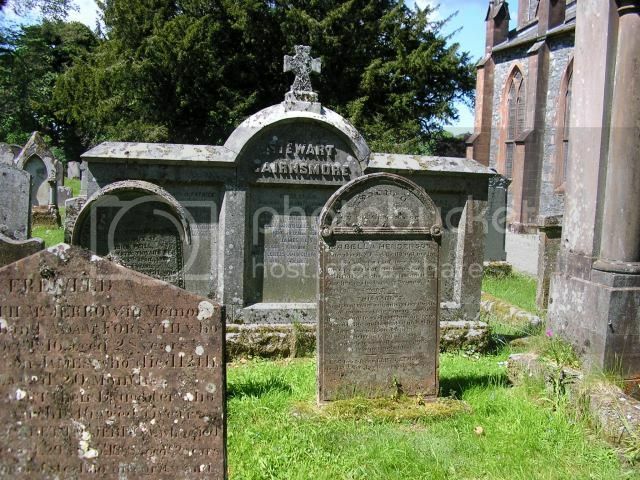 Both were born in Newton Stewart and Alexander is mentioned on his wife's grave in Newton Stewart Cemetery. 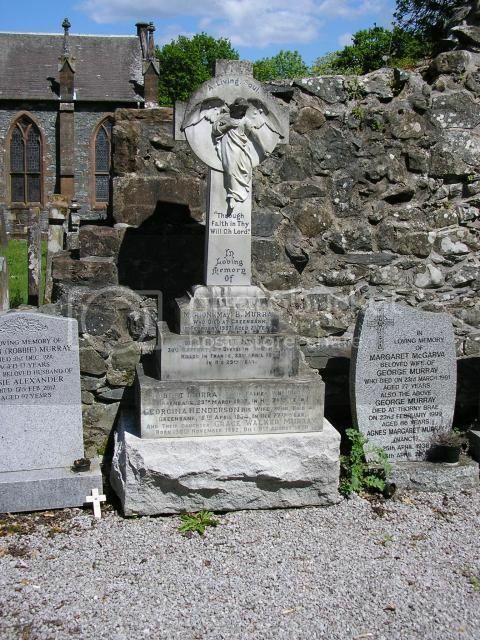 Erected by William Stroyan, Blackcraig, Minnigaff in loving memory of his three sons who were killed in action in France in the Great War. 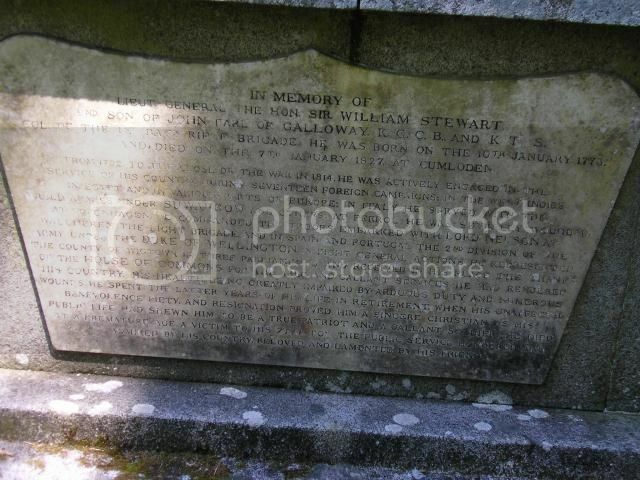 Son of William and Mary Stroyan, of Path Cottage, Blackcraig, Newton Stewart, Wigtownshire. 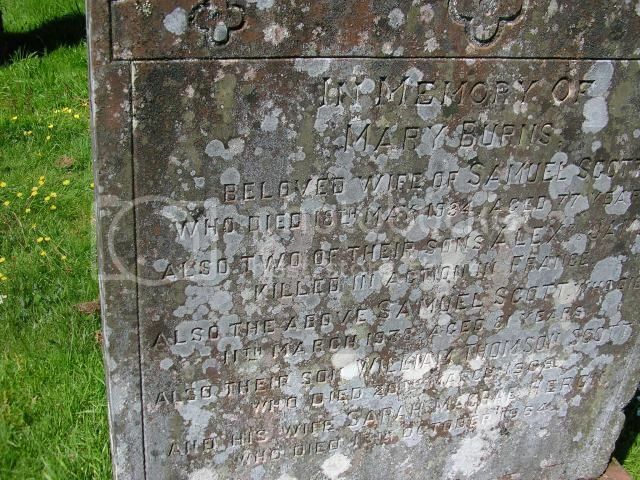 Son of William and Mary Stroyan, of Path Cottage, Blackcraig, Newton Stewart, Wigtownshire. 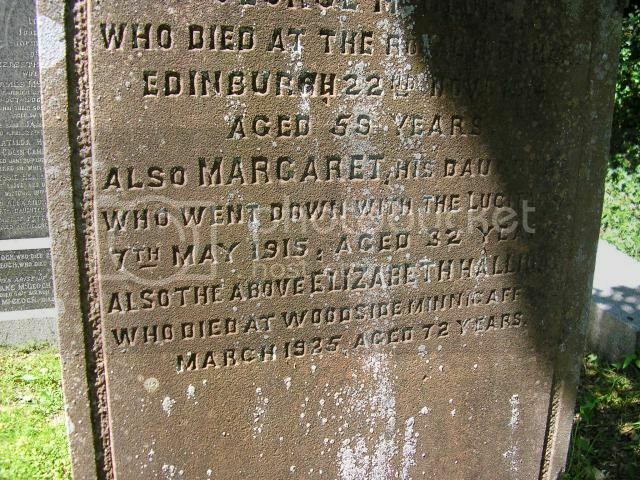 Native of Kirkcudbrightshire. Panel ReferencePanel 119 to 124. 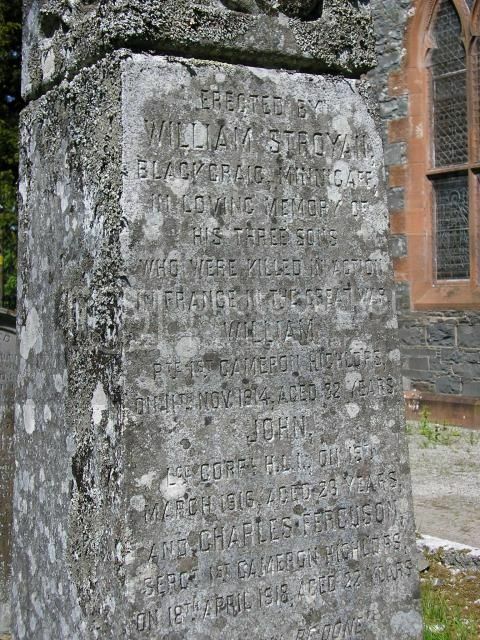 Son of William Stroyan and Mary Stroyan, of Path Cottage, Blackcraig, Newton Stewart, Wigtownshire. 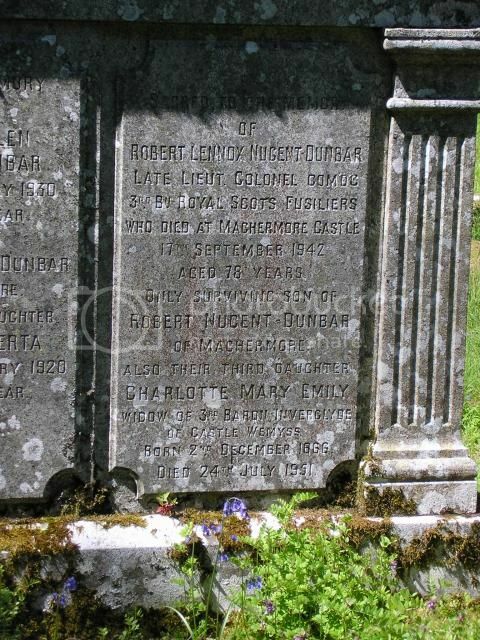 Triple Panel for the NUGENT-DUNBAR family. Keith Lt. R.N. 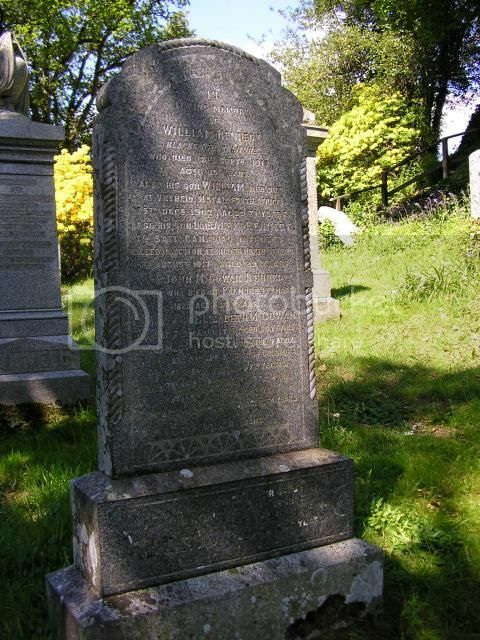 9.3.1834 - 4.9.1857 Hong Kong. 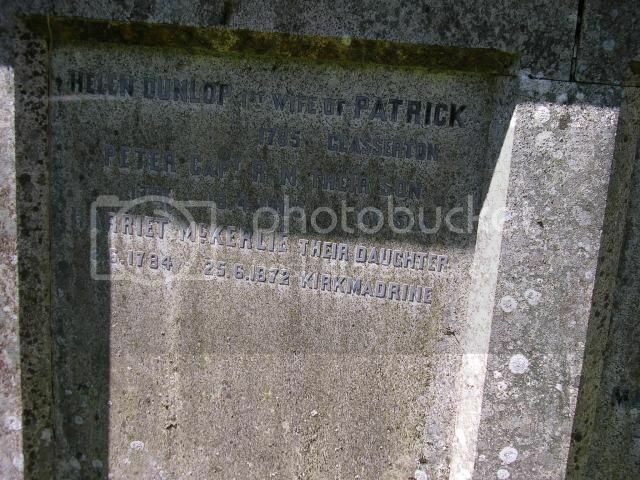 Patrick Lt. Col. 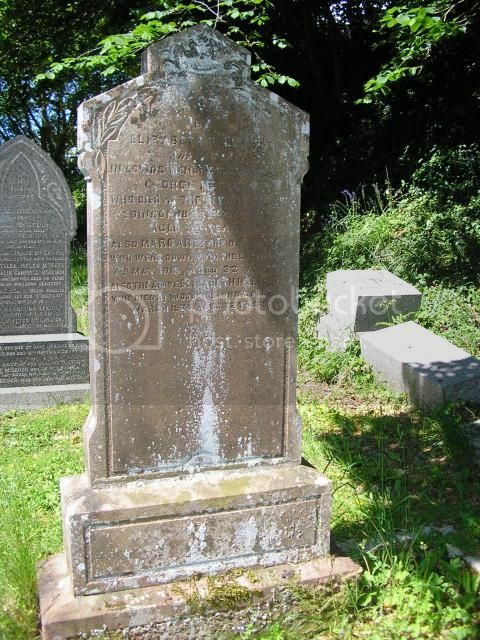 R.E., C.B. 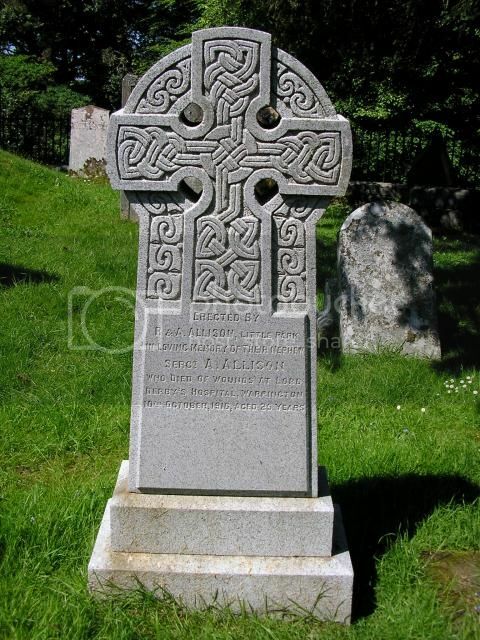 28.1.1832 - 16.1.18965. Scutari. 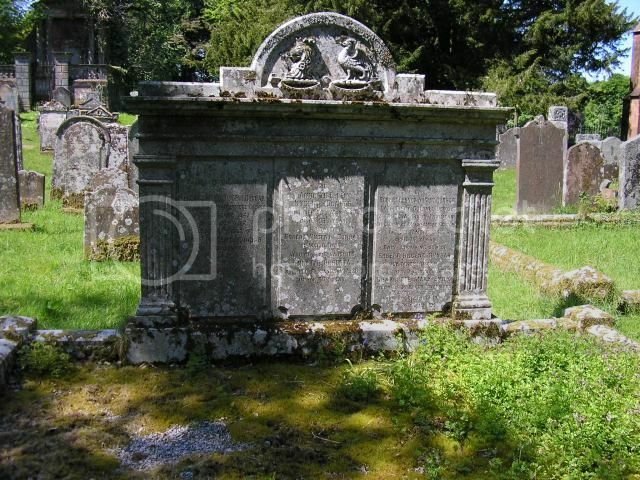 Additional Information: Son of Sam and Kate Stroyan, of 4, Reid Terrace, Minnigaff, Wigtownshire. 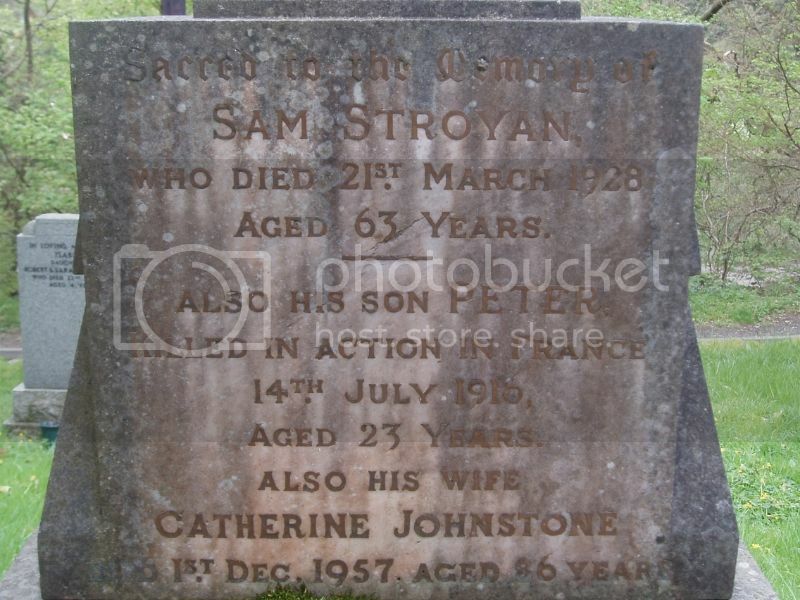 Wigtownshire Free Press (3 August 1916): Mr Samuel Stroyan, joiner and millwright, Creebridge, Newton Stewart, has received intimation that his son, Peter Stroyan, has been killed in action. 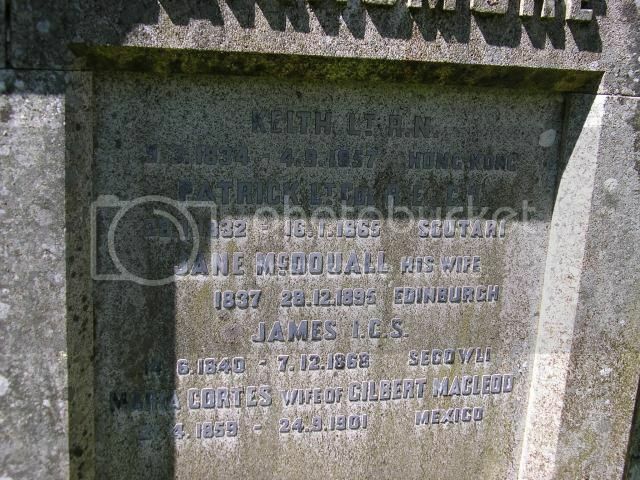 Previous to joining the colours, deceased was engaged with Messrs Jesson, and with Mr M Blacklock, Holmpark. 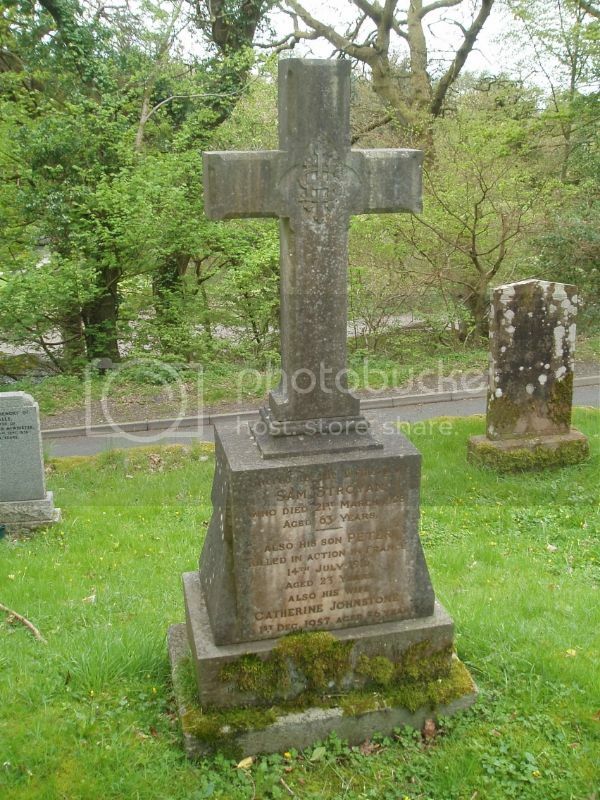 Wigtownshire Free Press (10 August 1916): Killed in action on 14th July, Pte Peter Stroyan, Royal Scots, second son of Sam Stroyan, millwright, Minnigaff, aged 23 years - "Duty marked the path he trod"